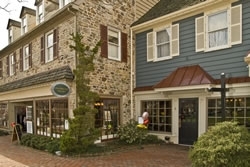 It's "everything wine" at Chaddsford Wine Shop and Tasting Room in Peddler's Village.Â Sample world-class portfolio and premium varietal, regional and seasonal wines.Â Tastings daily. Our new Meeting and Event room offers a unique space for a very personal wine experience featuring Pennsylvania's most recognized and acclaimed wines. Plan your next private Wine tasting party, Evening party or Business meeting at our location. We also offer Group Tour parties as well.